When incoming U.S. congresswoman Rashida Tlaib is sworn into office Thursday, she will use Thomas Jefferson’s centuries-old Quran. 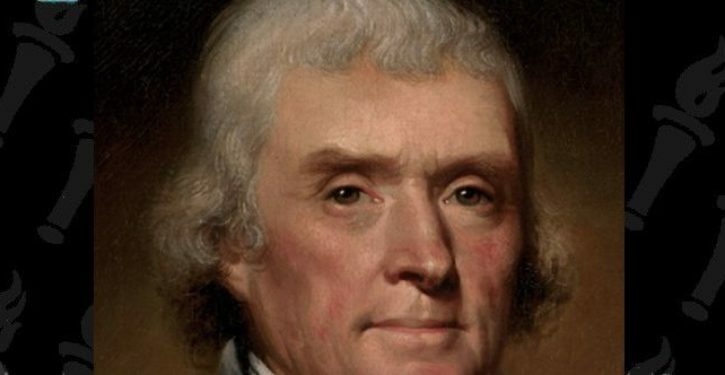 Some might be shocked that Jefferson owned an English-translated Quran that dates back to 1734. But Tlaib — one of the two first Muslim women elected to Congress in November — said she’s okay with that reaction, according to CNN. Jefferson’s Quran was also used by Democratic U.S. Rep. Keith Ellison in 2007 when the Minnesota congressman took his own oath of office, according to The Washington Post. As noted by The Washington Post, the historic Quran includes an opening from George Sale, who translated it into English, that sheds a less-than favorable light on Islam.